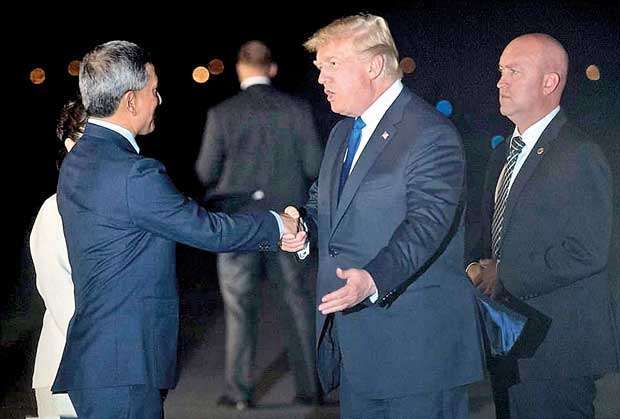 President Donald Trump arrived here Sunday night ahead of a potentially historic summit with North Korean leader Kim Jong Un, the first meeting between the leaders of two countries that have been sworn enemies for almost seven decades. The North Korean leader landed at Singapore’s Changi Airport shortly before 3 p.m. Sunday and travelled in his armored Mercedes-Benz limousine through one of the island state’s swankiest shopping districts to the five-star St. Regis hotel. The streets were lined with tourists and journalists trying to catch a glimpse of the enigmatic North Korean leader, who has embarked on his farthest journey - and the journey with the highest stakes - since taking power at the end of 2011. Kim’s trip was prominently featured in North Korea’s state media Monday morning. Trump and Kim are scheduled to meet face to face Tuesday morning at 9 (which is 9 p.m. Monday, Eastern time), and they will see if they can forge some kind of agreement on North Korea’s nuclear programme. 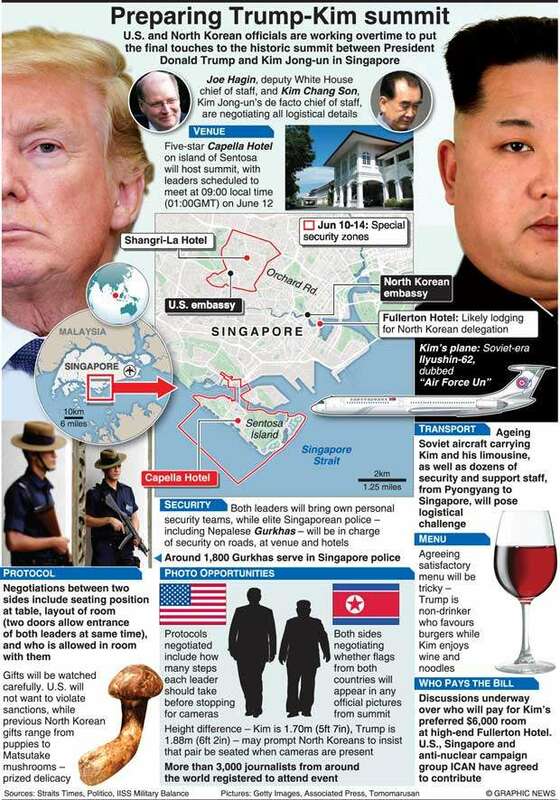 Kim and Trump are to meet at the Capella hotel on the resort island of Sentosa, usually better known as the site of Singapore’s Universal Studios amusement park.